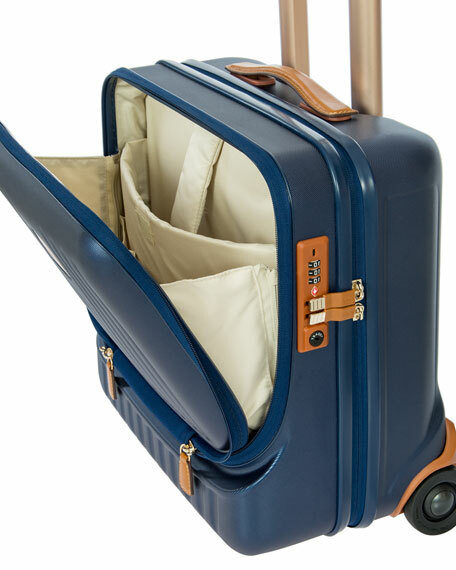 Pilot luggage case with Tuscan leather trim. Zip around closure for main compartment. 14"W x 9"D x 16.5"T.
This super durable carry-on boasts a modern silhouette with fluid looking,strategically contoured angles. 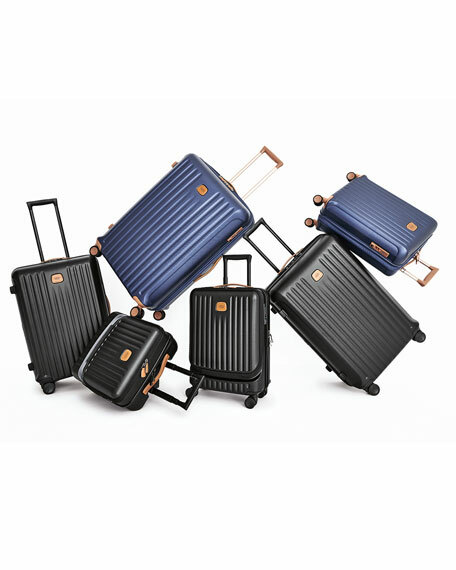 Ideally designed for short, overnight trips and travel within Europe and other international destinations. Aluminum. 21"W x 11"D x 31"T. Imported.